reality tv | Wait! What's A Dial? At the weigh-in, affter Holley Mangold’s heartbreaking elimination, Alison Sweeney told the teams during that one more person will be going home. That person will get to go home and workout with their trainer. A wheel determined who would go home. Jay hoped the wheel lands on him because he’s been feeling homesick lately. When it does land on him, he’s excited, but Jillian was pissed off because she’s leaving her other teammates behind. Once they left the ranch, Jillian saw Jay’s home state of Missouri and connected with him on a whole different level. She wanted to see what makes him tick and what makes him so special. Not only is losing weight hard physically, but also mentally. He already lost 78 pounds, but had to make some sacrifices. Jillian fears that going home won’t be good for him, especially since Jay’s weight was the determining factor on whether the white team stays for another week. In 100 degree heat, Jillian had Jay running around in the barn doing intense workout regiments. It’s a great tool to use because it provided an alternative to the gym. 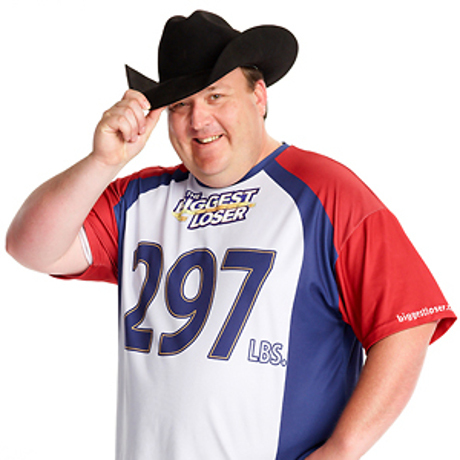 The 15th season of The Biggest Loser is in it’s sixth week and we continue to see that the contestants’ hard work pays off. While Reuben Studdard did return to the ranch this week, the episode started with Alison Sweeney leaving the contestants DVDs and a card that said “Remember Who You Are.” This was an opportunity for the contestants to view their old selves and reflect on the actions that sent them to The Biggest Loser Ranch, which was a wake up call for many of the contestants. Quite frankly, the contestants don’t want to be that person anymore and most of them have changed significantly. After a shocking revelation last week involving Jillian Michaels giving caffeine supplements to her players the week before without doctor’s permission, the weigh in was invalidated and Reuben Studdard was allowed to return to the ranch. He was grateful for the second chance to change his life. It was also clear the contestants missed him. Tanya and the rest of the red team agreed that “Reuben has a way of lifting everyone up.” Reuben’s return boosted the moral of the red team. They felt that the family was back together. ‘Dancing With The Stars’: Who Leaves Next? It’s hard to believe that nine weeks ago, Dancing With the Stars kicked off its 17th season and now the show is almost coming to an end. The contestants are really feeling the pressure of week nine because they need to learn and perform two full dances. After Brant’s elimination last week, who is going to be the next to leave the competition this week? Amber Riley’s first performance was the fast paced quickstep. Even though Amber is still pulling through a knee injury, she is still in it to win it. The choreography was not only technical, but fun to watch. Bruno calls her “dazzling,” but he and the other judges feel Amber has a few more things to work on. Amber got all 8s across the board giving her a total for round one of 24/30. Leah Remini’s first dance was the tango. Even though the judges praised her on her tango, I wasn’t impressed at all. There weren’t any memorable moments and she just felt very stiff in her footwork. Len liked how Leah brought flavor. 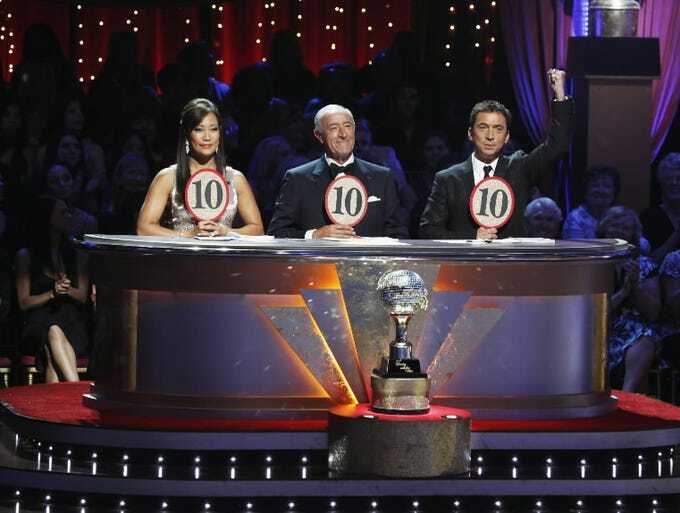 Bruno thought the dance “was a badass proper tango.” The judges all agreed and gave Leah 9s across the board for a total of 27/30. Everyone still can’t get over the Christina Milian shocker from last week. She received the highest score of the night, but still went home. It just proves that anything can happen on Dancing with the Stars. Even though one of the best dancer on the show didn’t make it to the half way point, the remaining dancers are that much closer to winning the mirror ball trophy. So how did they do last night? Bill Engvall did a tango to Jimmy Buffet’s “Cheeseburger in Paradise.” Putting these two odd elements together seemed to make a nice combination. He lost the smoothness in his footwork. I think he was more fixated on wanting that cheeseburger. Len liked how the routine was sharp and had tanginess to it. Carrie Ann and Len gave Bill 8s whereas Bruno gave him a 7, totaling a 23 out of 30. The battle of the bulge is finally back; a second chance on life to get it right. The lean, mean, screaming machines (Bob, Jillian, and Dolvett) are back to change the lives of fifteen overweight contestants. Each contestant has a personal story to tell and hopefully it will inspire others to keep moving and become active. Not only were there some smiles, but some had some fear when approaching The Biggest Loser ranch. People are missing their spouses, their children, and they know this is what they have to do, to live a longer, healthier life. Two of the contestants who have made headlines are season two American Idol winner Reuben Studdard, and Olympic Weightlifter Holley Mangold. These two along with the thirteen others here want to change their life. These trainers want to point out that this is “not a TV show, this is a life or death intervention.” When entering the doors of The Biggest Loser Ranch, contestants notice a bunch of flags showcasing past contestant’s success stories. It just shows that if they can do it, you can do it. It seems like everyone wants reality television to run its course and get off their television sets. The truth is that’s never going to happen. Reality TV is here to stay. Since the late 1940s, it’s existed in one form or another and many of the first reality shows were adapted from radio. For example, Candid Camera started as Candid Microphone. While it may seem quaint now, Candid Camera basically had the audience spying on people who were put in uncomfortable situations without being in on the joke. Even though Candid Camera still seems tame, Queen for a Day, which also started on radio and aired on TV from 1956 to 1964, is shocking by modern standards. The host would force housewives to recount all the misery in their lives, many broke down and cried, so that they could potentially win whatever they needed. Whoever the audience determined had the most tragic story would get help, everyone else was sent home without so much as fare for the bus. After two seasons of teaching celebrities to cook, Rachael and Guy have decided to turn their sights on improving the talents of child prodigies. Unlike past seasons of Rachel vs. Guy, no one will be eliminated. Instead, each week the kids will received grades and two MVPs will be chosen, one from each team. The winner will be whoever has the highest score at the end of the competition. The grand prize is a cooking show on Food Network’s website. In the first episode of Rachel vs. Guy: Kids Cook-off, we are introduced to the eight contestants. For Team Rachael, Hunter Zampa, Brandon Scawthorn, Hailie Thomas, and Jack Witherspoon will be competing. Team Guy’s contestants are Sydney McCoy, Cole Malouin, Alessandra Ciuffo, and Daniel Hamilton. Even though it has only been one episode, there are already some obvious leaders. Boisterous Alessandra is a larger than life, friendly Italian-American from Queens, who would invite you over for dinner and then send you home with a ton of leftovers that you’ll love, but will be eating for a month. Hunter knows the most about food and can talk intelligently about it. He also likes to cook venison and fish because his dad is a hunter and fisherman. However, he is also probably the most likely to accidentally kill someone with his fondness for spicy foods. Cole still needs to work on his camera presences, but with a little practice he will be a mini Alton Brown. In 10 years, Cole could totally have a show where he makes food in unusual ways. This week, America’s Next Top Model was jam-packed with tears and pranks. Marvin, the mastermind of the prank wars, plotted with Don and Jeremy. They want to throw the girls off their game, so they tape the girl’s shoes and underwear onto the walls. Kanani says “It’s a boy on girl war,” and Renee agrees by wanting to get back at the guys and show them whose boss. Kelly Cutrone, PR maven and one of the judges on America’s Next Top Model, tells the models that they will be creating a shoot for Emerson clothing. The trend is using living photography by following the rules of “random acts of modeling.” Random acts of modeling is a term used for taking pictures of everyday tasks, but posing to make the photo look editorial. The three captains for this challenge were Corey, Kanani, and Don, since they had the top 3 photos from last week. This challenge certainly brought a lot of confusion when it came to working in groups. As Chris points out “there’s a lot of chiefs and not enough Indians.” Even though Kanani is not a real fan of Jourdan’s, Kanani felt it was best to have Jourdan on her team, because she is such a strong competitor. Jourdan apologizes to Renee and Kanani for the way she’s been acting. Kanani accepts her apology but is still keeping her eye out on her. Kanani’s team won the competition, which gives these three girls a better chance of remaining in the competition. My Big Fat Revenge sends many mixed messages. The show enables big women to lose weight and get revenge on exes, family members, or anyone who has ever made fun of them for their weight. While it is great that the women receive the help they need to get healthy, the fact that they have to get healthy before they can tell their tormentors off is cruel in it’s own way. The first episode introduced the audience to Jen and Tamar, whose stories are unfortunately way too common. Jen met her ex-boyfriend through a website specifically for “big beautiful women.” Even though ex-boyfriend was looking for a “big beautiful woman,” he was still ashamed to be seen with her in public. He went as far as asking Jen to lose weight and die her hair, so he could date a skinny blonde chick. Tamar’s problem was her mother, who would call her daughter, a “tub of lard” and say she had a “tire belly.” Tamar had to deal with the jabs at her weight throughout her entire childhood. Understandably, both women wanted to get revenge, but they were sent to Los Angeles to lose weight first. In Los Angeles, Jen and Tamar spent three months exercising. Every day they were in the gym for six hours. 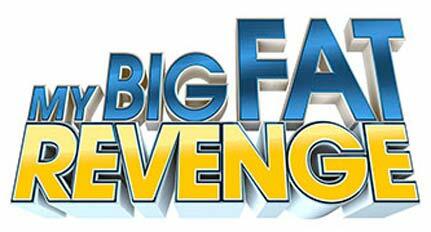 This was shown with the standard weight-loss show montage, but since My Big Fat Revenge isn’t really a show about weight loss it was a quick segment. During those three months, Jen lost 68 pounds and Tamar lost 46 pounds.